3 Create a new email campaign and seamlessly include a survey from SurveyMonkey. 3 Log in one time and your accounts will always be connected. Emma is a best-in-class email marketing platform that enables marketers to do their best work. It’s not just about powerful email marketing software. Though we have that, too. It’s about helping your team succeed and do its very best work from Day One. Beautiful templates: Emma offers a gallery of beautiful email templates and SurveyMonkey offers a plethora of survey templates to help you get started. 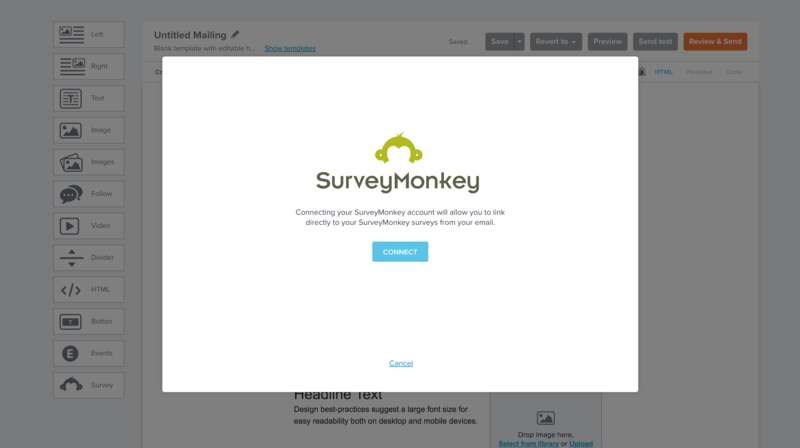 All Your Tools In One Convenient Place: Distribute surveys when and where you want with Emma email campaigns and gather insights using SurveyMonkey’s powerful solution. Log into your Emma account and start a new mailing. You can choose from readymade templates or blank templates. 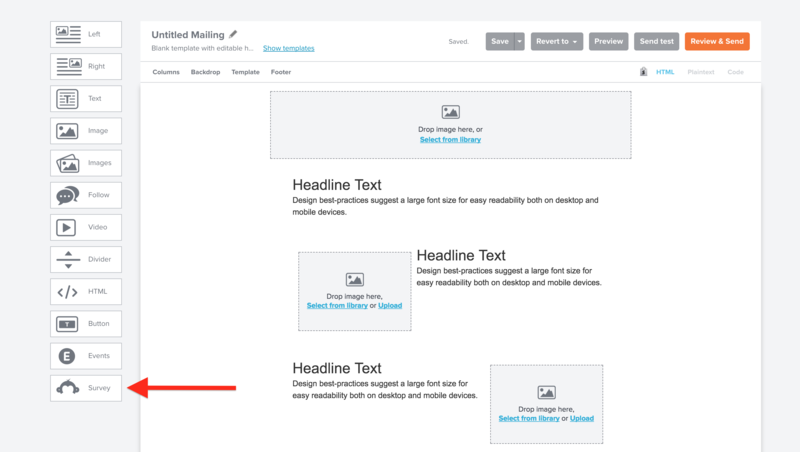 Drag in the survey content block from the sidebar into your mailing. From there, you’ll be prompted to Connect your account. You can do this by entering your SurveyMonkey log-in credentials in the popup window. 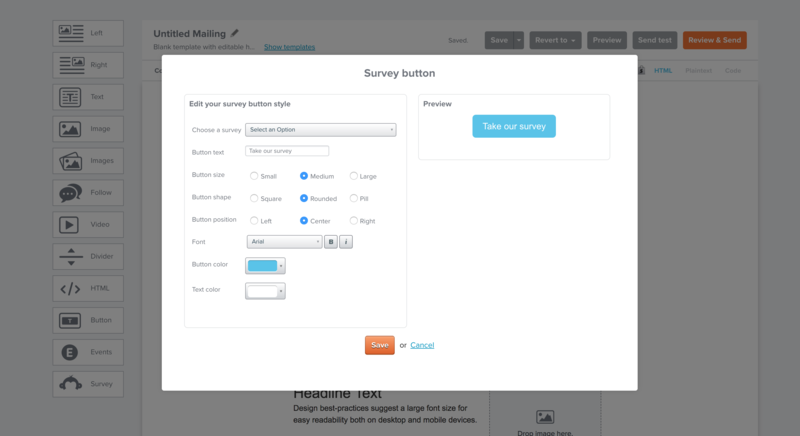 Now you’re ready to add a survey to your Emma mailing. Simply choose the survey you’d like to add from the drop-down menu. You can format the survey button to match the rest of your email. Your email recipients will see a beautifully crafted email from Emma, with a button that will take them to your SurveyMonkey survey. As they click the link and visit the survey, you can watch the responses collect in your SurveyMonkey account.